Brexit was a major shock to the global financial market and the global economy. The full impact is still to unfold, as the exiting procedure could be complicated and could take multi-year negotiations. 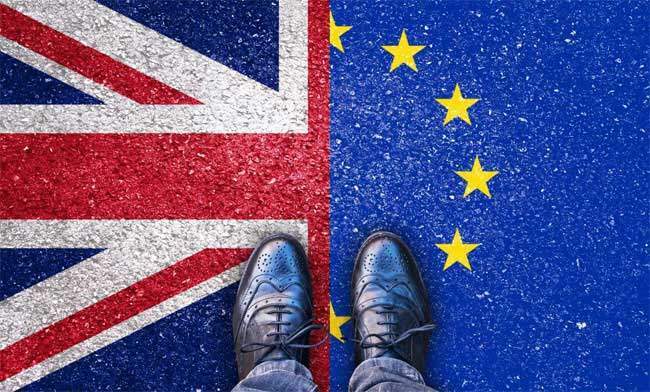 In our assessment, the near-term economic impact of Brexit on China is likely to be limited, but it could have important implications on China’s exchange rate policy operation, the strategy in capital account liberalization, and monetary policy operation. The existing exchange rate regime, in which daily fixing is jointly determined by trade-weighted index (TWI) and closing spots on the previous day, has gradually gained credibility and mitigated capital outflow and CNY depreciation pressure in the past 3-4 months. In practice, the new regime looks like a dirty basket peg, in which TWI is relatively stable on daily basis to offset volatility in major currencies, but over time TWI has exhibited a downward slope (China Foreign Exchange Trade System (CFETS) moved lower from 100 in early February to 95.3 now). The increasing credibility of the new regime has benefited from much improved communication from the central bank, the consistency between policy elaboration and daily fixing practice, strengthened rules to contain capital outflows, as well as a weak USD environment. Brexit could potentially affect the dynamics of major currencies, e.g. last Friday GBP and EUR depreciated against the USD significantly but JPY appreciated. This could lead to larger volatility in the global FX market, likely an upward bias to our current forecast of relatively stable USD index for the rest of the year. In such a scenario, while we expect the PBOC will not deviate from the current exchange rate regime, the strategy could be fine-tuned. In particular, CNY TWI will likely be stable for the rest of the year, or the downward slope as observed in recent months could become much flatter, to avoid large CNY depreciation against the USD. On Monday the PBOC set the daily fixing at 6.6375 (vs. 6.5776 on Friday), with CFETS relatively stable at 95.25. We maintain our forecast of USD/CNY at 6.75 at end-2016, but this is more likely to be driven by USD strength rather than TWI depreciation. Risk-off related to Brexit could trigger concerns about capital outflows from emerging markets. In China’s case, capital account is not fully liberalized, but capital outflow has been a major policy concerns in recent years. Brexit could strengthen the asymmetric strategy in capital account openness in China, i.e. continue to make further progress to encourage capital inflows, but cautious in moves on capital outflows. Brexit also reinforces our view that China’s monetary policy will stay neutral rather than shift towards tightening. The lower-than-expected total social financing (TSF) figures in April and May raised the question whether monetary policy will see a major shift from being accommodative in 1Q to tightening going forward. In our interpretation, the adjustment is to remove expectations on monetary stimulus, but “monetary policy will be appropriate” implies that monetary condition will not reverse the direction toward tightening, and it could have a slight easing bias if the macro situation weakens again (we expect one 25 basis point rate cut in 4Q when the growth slows down to 6.3% quarter-on-quarter saar vs. 7%q/q saar in 2Q). In particular, after Brexit, major economies are biased towards additional monetary easing or slower pace in monetary policy normalization. For instance, our global team now expects two rate cuts from Bank of England (July and August), further easing from the European Central Bank, and a postponed rate hike by the Fed from September to December. Lastly, the trade impact of Brexit on China tends to be limited. UK only accounts for 2.6% of China’s exports; EU is more important, accounting for 13% of China’s exports. However, Brexit is unlikely to directly change the bilateral trade relationship between China and EU/UK, instead it is via indirect impact, e.g. by economic slowdown in the UK and EU, and it could be offset by UK/EU seeking closer trade relationship with China and the rest of the world as a risk-management strategy.